Home Anime Pokemon anime series to stream on Twitch this August to October! Pokemon anime series to stream on Twitch this August to October! Just in time for the release of Pokemon: Let's Go! Who can forget the pure awesomeness that was the Bob Ross Marathon on Twitch? Or how about the equally great Power Rangers or Yu-Gi-Oh stream? 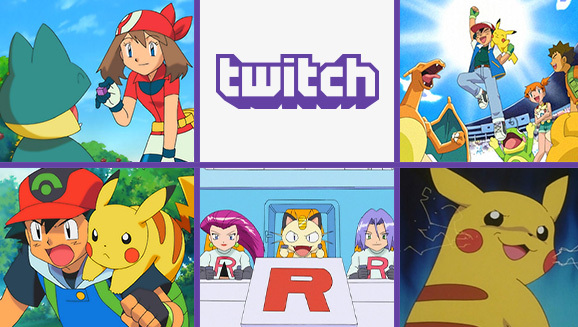 Well Twitch is at it again, this time they’ve partnered with The Pokemon Company to bring a livestream of the first nine seasons of Pokemon the Series! The Pokemon anime marathon will stream on TwitchPresents starting on August 27, 2018 (10am PDT/1am PHT), with each season airing from Monday to Thursday of a specific week. The marathon will end at the Pokemon: Battle Frontier season on October 22, 2018. Here’s a complete schedule for the TwitchPresents Pokemon Stream. As a bonus to Pokemon fans, Twitch will also show a special Pokémon movie presentation each Sunday of the week for the duration of the stream. If the previous TwitchPresents marathon’s were anything to go by, then this Pokemon stream should be one helluva ride, especially with all the people watching and typing (well spamming) on Twitch chat! Next articleWoW goes Lovecraftian with the Warbringers: Azshara animated short! Check out the Live-Action Gintama Cast in Full Costume!